Spring is slowly easing its way into the Smokies. March was pretty much what we expected. Cold overnights kept water temperatures below 50-degrees for most of the month and fishing was pretty tough. Though, there were some intermittent moments of good fishing mixed in. And things improved a little more during the last week of March with slightly warmer water temperatures stimulating hatches and getting the fish moving. It looks like that trend will continue into early April. Expect slower mornings but fairly productive afternoons. There will likely be a potpourri of hatches. Hendricksons should be the main event for the early part of the month. Red Quills and March Browns will likely start making appearances later in April. Interspersed will be a periodic BWO’s and a variety of caddis and stoneflies. A #14 Parachute Adams will be my default dry fly choice this month. If fish are rising and won’t take the Adams, start looking around and try to better match the color and size of bugs on the water. All and all, things look good for April. There will most certainly be a few dips in temperature that turn the fish off, but the long range forecast suggests a mostly mild and dry month. The Clinch didn’t fish at all in March. Nearly every day saw discharges of more than 25,000 cfs all day. I don’t know for sure when it will be back in shape. Flows have reduced to an average of 8000 cfs. That’s still too much but it’s a step in the right direction! If dry conditions persist, we may see fishable water by the end of the month – hopefully in time for a sulphur hatch! I’ll be keeping an eye on it. 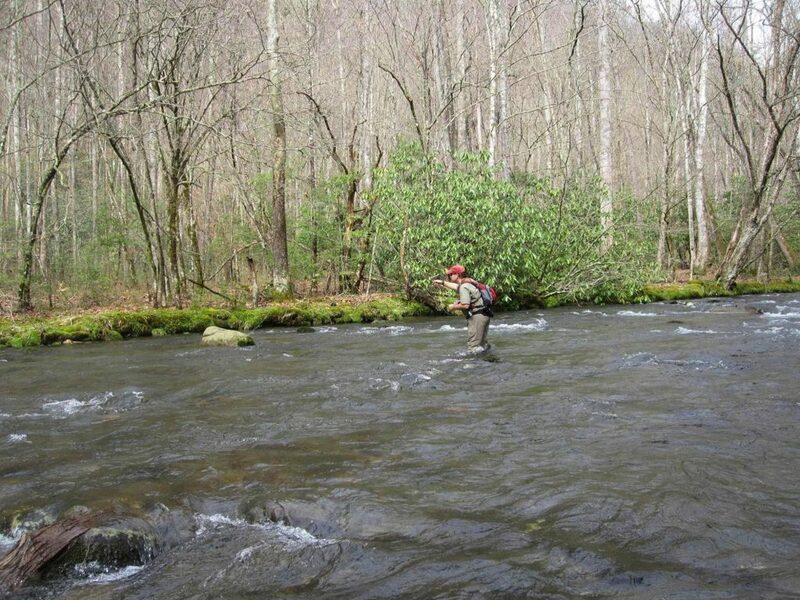 Fishing will likely be hit and miss in the Smokies this month. Of course, we’re starting the month off with very high water. Additional large amounts of rainfall in March could really shut things down. Hopefully, we can “regroup” with a stretch of dry weather. Water temperatures are the other issue this month. They tend to rise and fall significantly in March, creating wild swings in fish activity. We’re looking for water temps to get in the 50’s for the better part of the day, for at least a few days in a row. More than likely, that will begin to happen at the mid to late part of the month. When that does occur, not only will you find more active fish, you’ll begin to encounter some of the better hatches of the year. 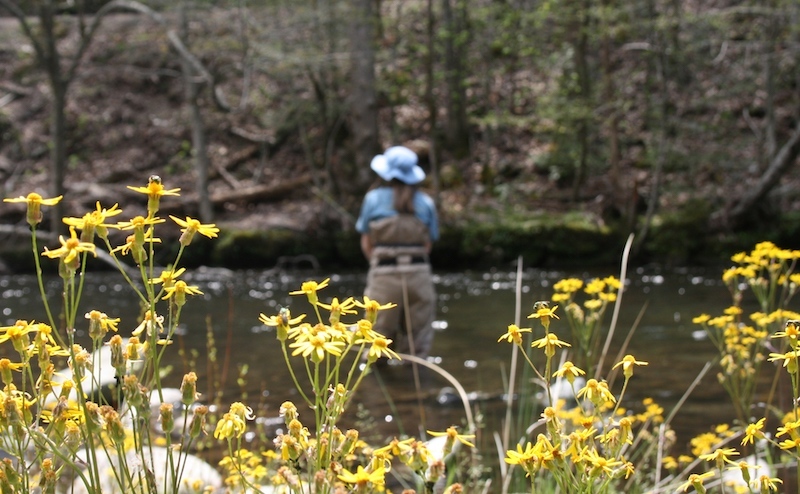 Small black caddis and stoneflies will hatch sporadically through the month and you should begin seeing better hatches of Quill Gordon and Blue Quill mayflies toward the end of the month. I honestly just can’t imagine much happening on the Clinch or other Tennessee tailwaters this month. 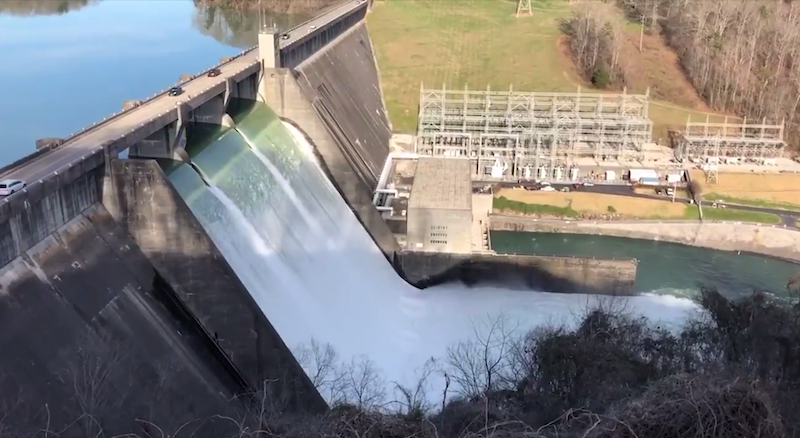 After all of the flooding, most dams are currently spilling. That will likely be followed by weeks of heavy generation. Let’s look at the Clinch again next month! 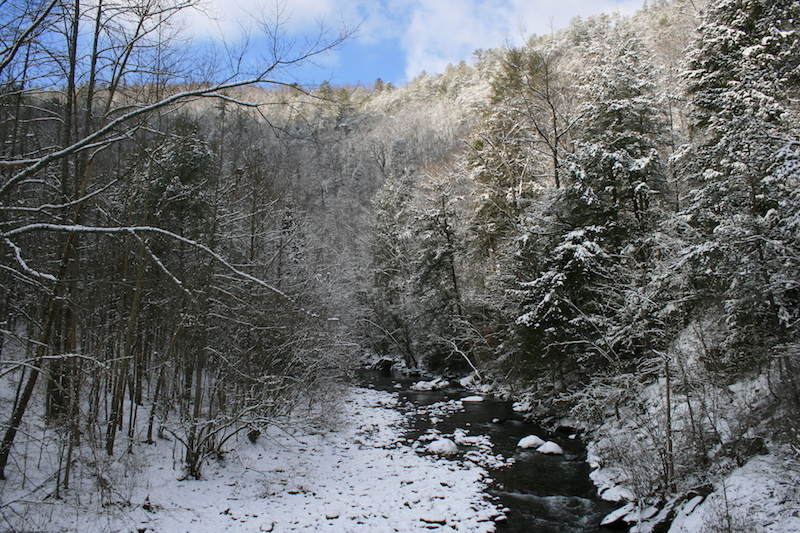 Winter fishing in the Smokies is not usually productive, at least not consistently. And I don’t expect this February to be an exception. We’re off to a very cold start with water temperatures right at the freezing mark. Hopefully we can at least get a break from all of the recent rain and keep water levels respectable. If water levels are cooperative, one of the best things about fishing the park in the winter is the solitude. You will likely only see a handful of other people and probably no other fishermen. Embrace the solitude and significantly lower your expectations on activity and you can have a pretty enjoyable day! And keep an eye on the weather. In recent years, we have had some brief warm stretches in late February a few warm days in a row can turn these fish on and showcase some fairly good hatches. 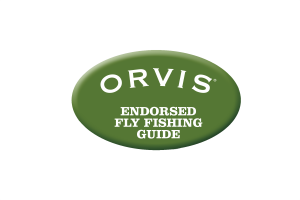 Little Black Stoneflies, Little Black Caddis and Blue Wing Olives are all common during the late winter months. The Clinch can fish well in the winter because it’s a tailwater and its water temperatures remain pretty constant. The water temperature in February is nearly the same as it is in August. However, we are still paying for a VERY wet 2018. The Clinch is not only releasing water all day every day, they are sluicing approximately 6500 cfs. That’s a lot of water. You definitely can’t wade it under those conditions and it’s really too much water for decent fishing from a boat. If they relax that water release schedule, this will be a good option. But it looks like this is what we’re stuck with for a while. The delayed harvest streams in the Cherokee National Forest are the best things going right now. Stocked fish continue feeding more regularly in winter than wild ones do. They’re not as good as they were in the fall, mainly because of poaching, and the later in the DH season we get, the fewer fish there are. But there are still some fish, particularly in the Tellico, and they should remain active through February. Assuming roads remain clear and safe to drive on, this is probably your best bet right now. 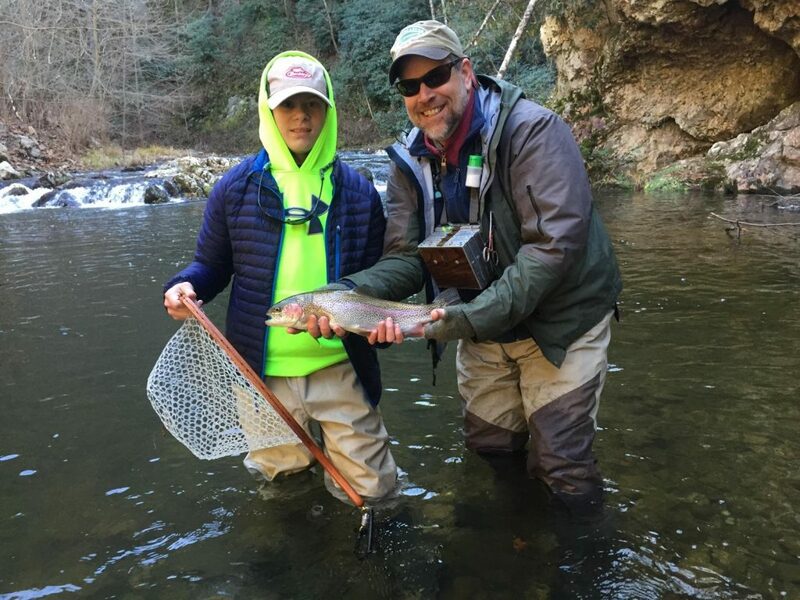 Winter fishing in the Smokies is not usually productive, at least not consistently. And I don’t expect this January to be an exception. In addition to the cold water temperatures that keep these wild trout fairly inactive, it looks like our wet weather will continue. Water levels will probably remain pretty high most of the month. The Clinch can fish well in the winter because it’s a tailwater and its water temperatures remain pretty constant. The water temperature in January is nearly the same as it is in August. However, we are still paying for a VERY wet 2018. The Clinch is not only releasing water all day every day, they are sluicing approximately 5900 cfs. That’s a lot of water. You definitely can’t wade it under those conditions and it’s really too much water for decent fishing from a boat. The delayed harvest streams in the Cherokee National Forest are the best things going right now. Stocked fish continue feeding more regularly in winter than wild ones do. They’re not as good as they were in the fall, mainly because of poaching. But there are still plenty of fish and they should remain active through January. Assuming roads remain clear and safe to drive on, this is probably your best bet right now.